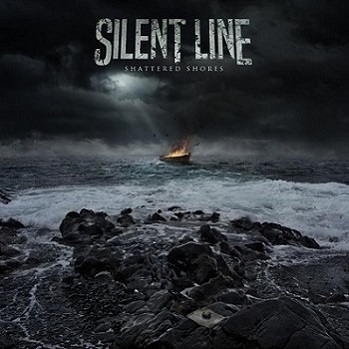 Silent Line bring their new album, ‘Shattered Shores’, to the public this week (30th October release date), and it marks a shift towards a concept album, based on the idea of a man trapped on an island that is constantly battered by the ocean. Musically this is for fans of Soilwork, Wintersun and Amon Amarth. But does it breathe new life into the sometimes overdone prog metal genre? The musicianship is top notch, the songs are anthemic and melodic, but still with a strong sense of the heavy, and Silent Line know where and when to employ keyboards to enhance their music. They aren’t overdone, but are still featured prominently in some places. The raging gallop of ‘Black and White’ is pure Soilwork, but it is later in the record where the really impressive songs appear. The epic ‘Shattered Shores II’, the fury of ‘Into the Chasm’ and the closing, powerful melodies of ‘Embrace the End’ all showcases Silent Line to be a band of supreme talent and potential.